Amitriptyline and perphenazine is a combination medication (oral perphenazine-amitriptyline drug) that is used in treating depression due to certain mental disorders. Amitriptyline constitutes a class of drug known as tricyclic depressants (or TCAs) and perphenazine are antipsychotic medications. What is Amitriptyline and Perphenazine Overdose? What are the Causes of Amitriptyline and Perphenazine Overdose? What are the Signs and Symptoms of Amitriptyline and Perphenazine Overdose? The signs and symptoms of Amitriptyline and Perphenazine Overdose can vary from one individual to another. It may be mild in some and severe in others. Several systems of the body, such as the digestive system, respiratory system, muscular system, nervous system, vascular system, urinary system, skin and ENT may be affected. How is First Aid administered for Amitriptyline and Perphenazine Overdose? Who should administer First Aid for Amitriptyline and Perphenazine Overdose? 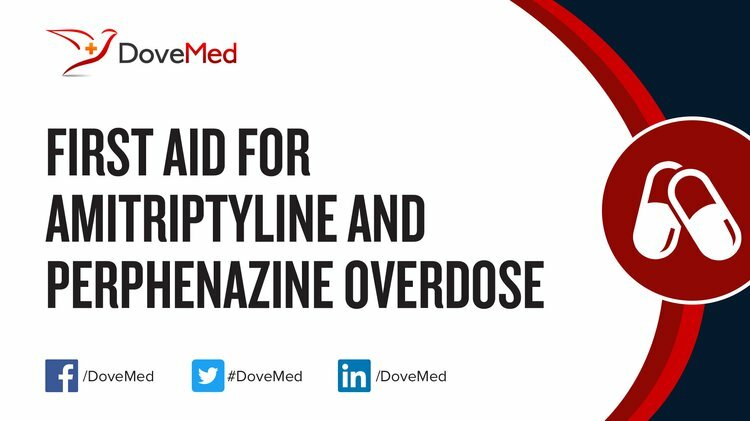 First aid for Amitriptyline and Perphenazine Overdose is administered by healthcare professionals. What is the Prognosis of Amitriptyline and Perphenazine Overdose? Amitriptyline and Perphenazine Overdose can be a life-threatening condition. The prognosis is dependent on the dosage of drug taken, the time between overdose and treatment, severity of the symptoms, and general health condition of the individual who overdosed. How can Amitriptyline and Perphenazine Overdose be Prevented? Pogrel, M. A., Stevens, R. L., Bosack, R. C., & Orr, T. (2015). 31 Complications with the use of local anesthetics. Anesthesia complications in the dental office, 207. Chaplin, S. (2011). Medicines that are less suitable for prescribing–antidepressants. Prescriber, 22(8), 48-50. Hsu, Y. C., & Yeh, Y. W. (2014). Multidrug overdose‐induced myoclonus complicated by rhabdomyolysis: possible role and mechanism of muscle toxicity of risperidone. Journal of clinical pharmacy and therapeutics, 39(6), 698-700. Foianini, A., Joseph Wiegand, T., & Benowitz, N. (2010). What is the role of lidocaine or phenytoin in tricyclic antidepressant-induced cardiotoxicity?. Clinical Toxicology, 48(4), 325-330. Cianfrone, G., Pentangelo, D., Cianfrone, F., Mazzei, F., Turchetta, R., Orlando, M. P., & Altissimi, G. (2011). Pharmacological drugs inducing ototoxicity, vestibular symptoms and tinnitus: a reasoned and updated guide. Eur Rev Med Pharmacol Sci, 15(6), 601-36. Kaur, K., & Malik, A. K. (2013). Study on the fluorescence quenching reaction of amitriptyline and clomipramine hydrochlorides with eosin Y and its analytical application. Journal of fluorescence, 23(3), 533-542. Juenke, J. M., Brown, P. I., Urry, F. M., Johnson-Davis, K. L., & McMillin, G. A. (2013). Simultaneous UPLC–MS/MS assay for the detection of the traditional antipsychotics haloperidol, fluphenazine, perphenazine, and thiothixene in serum and plasma. Clinica Chimica Acta, 423, 32-34. Yanagawa, Y., Miyazaki, M., & Sakamoto, T. (2010). Relationship between abnormal pupillary reactivity and the outcome of a psychotropic drug overdose. The American journal of emergency medicine, 28(6), 703-707.